This story was submitted from a member in Australia for entry into the Basic Text. It was reprinted by NA Today in 2006. My name is ?, and I am an addict. I am 39 years old and have been clean for 16 and a half years. I live in Australia and got clean when I was 22, so I have lived most of my adult life as an NA member. 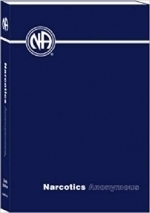 I have a diverse, full, rich life now, thanks to the program of Narcotics Anonymous. As an adolescent, my behaviour was governed by my compulsion to take drugs and my life was characterized by trouble, violence, prison and poor health. My using was punctuated by counsellors, probation officers, psychologists etc, all of which I was forced to see by the law. Rarely could I hear what these people were saying or awaken my soul long enough to hear anything above the rumbling din of self and the desire for drugs. I was so focused on getting what I wanted, what I thought I needed, I ignored most of the moral boundaries that most people take for granted. I stole, lied, cheated, scammed, robbed and in the end was exactly what the basic text says “reduced to the animal level”. I hunted around the streets like a hungry wolf, looking for money and drugs. Underneath that cold exterior however, inside me, I had a conscience somewhere buried under a pile of life’s emotional rubble, but I couldn’t access it, I couldn’t afford to. The responsibility of living a normal life, cleaning up all that rubbish was too great. There were too many things to deal with and my life became a misery of unresolved responsibilities. I believe every human’s real job is looking after themselves and I couldn’t seem to do that. Eating, sleeping, drinking water, exercising, staying warm or clean, seemed irrelevant and virtually impossible. The end result was a vicious cycle of hunger, poor hygiene and bad health. Deep underneath, between the layers of self, these inabilities hid a particular emotional pain that I carried. I couldn’t feel it or articulate it properly until I got clean. I don’t know whether I brought this pain from childhood or whether it came into the world with me, but I still carry it. This pain is not always present, but arises from time to time, as I move through these layers, when things seriously don’t go my way, or if relationships end. If I get rejected, left out, treated as second best or am not wanted in some way, the pain can become acute. I think perhaps I used to medicate this pain with drugs. They made me feel better – for a long time they worked well, but in the end the drugs became their own particular pain. They drove me to the edge of sanity and life and now I no longer see myself as having that option. Using drugs for me is suicide. When I was 20 years old, I spent two years in Maximum security prison for burglary. In there I saw some of the most brutal human behaviours that I have ever witnessed. After two excruciating years, I was released, with an absolute commitment to stop using. I lasted for 1 hour, before I was stoned on about four different drugs. I awoke from a blackout the following day and my life spiralled out of control for the next few 6 months. The powerlessness of step one was evident, unmanageability undeniable. One night I woke up from a blackout, with blood on me, it wasn’t mine; I had a pocket full of money and no recollection. I was frightened about what I was becoming. One night I was trying to sleep through withdrawals. I had taken some heavy tranquilizers but they hadn’t worked properly. I was in a stupor of frustration and futility. The pain of my whole wretched life was caving in on me. I worked myself into a weeping, cursing, violent rage, smashing the room, scratching and punching at my own face. My housemate was terrified and called my parole officer. The following day, an intervention was done by my parole, counsellor and my Mother. They told me they were going to send me back to prison unless I went to NA and did 90 meeting in 90 days. I said I would do whatever they wanted. They told me that wasn’t good enough, that I had to make choices for myself, that recovery couldn’t occur until I really wanted to change. I was caught in a limbo of conflicting desires. Of course I wanted to change, but I couldn’t, I wanted to use but I couldn’t. I felt there was nothing left to do and decided that I would kill myself. I left the intervention that day filled with a sense of absolute doom and desolation. I did a robbery, bought as many drugs as I could afford and overdosed in the Woden Bus Interchange toilets, in Canberra. I wanted to die, but only because there didn’t seem to be an alternative to the misery that my life had become. I think that in the life of every addict there are multiple cross roads – times when we could have stopped and taken responsibility for our lives. I went through the crossroads that day in the interchange toilets and chose the wrong path – but by the grace of God, I was given another chance. I woke up about a couple of hours later, crumpled on the floor of the toilet, completely defeated, my life a shambles. I walked, trudged, not knowing what to do or where to go. In that state of blind confusion and desperation, the winds of chance blew me like a leaf into a detox centre across the highway, where they took pity on me and admitted me even though I wasn’t the required 48 hours clean. I lay naked, curled up on the bed sobbing that night feeling a particular sense of freedom, because deep inside I think I knew it was over, I had surrendered, I just didn’t really know what that meant yet. At that detox they took people to meetings daily. I struggled through those painful first few days and in a meeting on a Wednesday night in a homeless centre called Ainslie Village I heard and felt the NA message for the first time. “I didn’t have to use drugs anymore, there was a way out”. I was inspired by the other people who were clearly junkies but didn’t seem to be using. They made me believe that maybe there was a chance for me to really stop and have a go at life. I feel sad now writing this; I am much more emotionally in touch with my old mad life now than I ever was back then. I couldn’t imagine how life would play out. I just saw a black hole of the unknown, but I had decided, even if it was just a novelty to give it a go for a couple of days and see how long I. I lasted 49 days. Then I relapsed and the compulsion to take drugs was back upon me with a ferocity that was undeniable. My life spiralled immediately out of control again and I realized that the previous 49 days had been the most trouble free in the last ten years. The relapse lasted for about 2 months, before another detox and the death of another friend through overdose. I have been clean now since the 25th of January 1989 and my clean time is my treasure. I protect it with my life, because it is my life. I have gone on to do many of the things that should be done in a life. I own a house and a business. I went to school and got an education. All the normal social assets have returned. But more than any of that, I have loved – at times deeply. I FEEL things, I FEEL everything which I had always been scared of – but it is amazing to FEEL, brilliant and frightening, sad and awesome all at the same time. I am excited to be alive. I am excited about what is to come. I still suffer with existential angst from time to time, and wonder what we are doing here on this planet, but I have decided on a purpose which makes it easier for me with those issues – I care about people getting clean. I have dedicated myself to the path of NA and serving others. I attend meetings regularly which I have for the whole time. I am a member of the local area and the region. I sponsor people and I have an NA sponsor. I work the steps to the best of my ability and I am trying to become the best person I can be. NA truly gave me the key to another life, we keep what we have by giving it away. Thank you. We Do Recover. 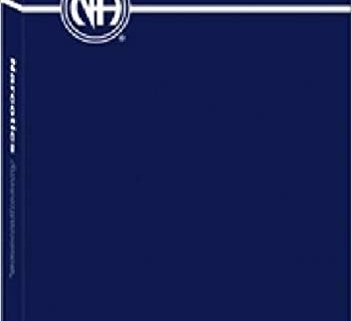 2018 Membership Survey – NA World Services A little comic relief.